You loved donuts as a kid. And, as an adult they illicit feelings of nostalgia. Perhaps donuts were there at holiday school festivities, or they were there on lazy Sundays as you read the funnies with your dad. There is no reason as a “grown-up,” that you cannot still celebrate with donuts. And, a wedding is a perfect occasion for donuts. 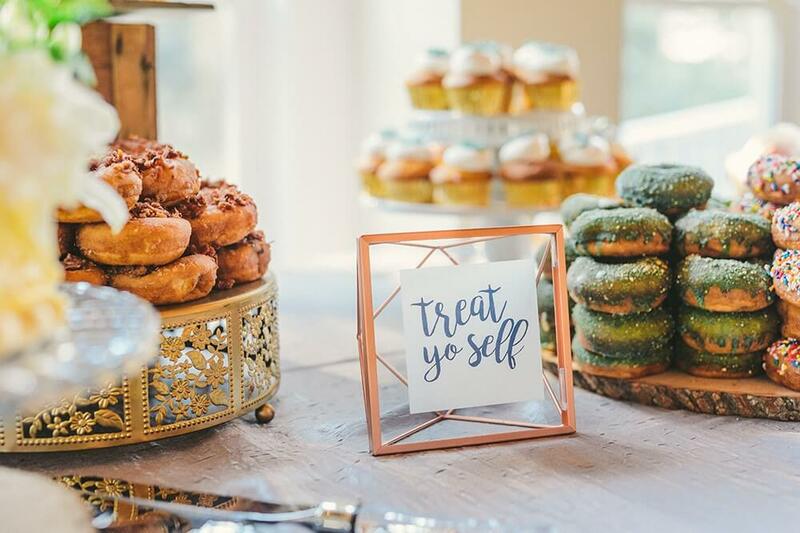 Whether you decide to use donuts as your wedding cake or to set out as a late night snack, your guests will appreciate the delicious, fresh made treat. Sandy Pony wedding donuts have been enjoyed all over Annapolis. 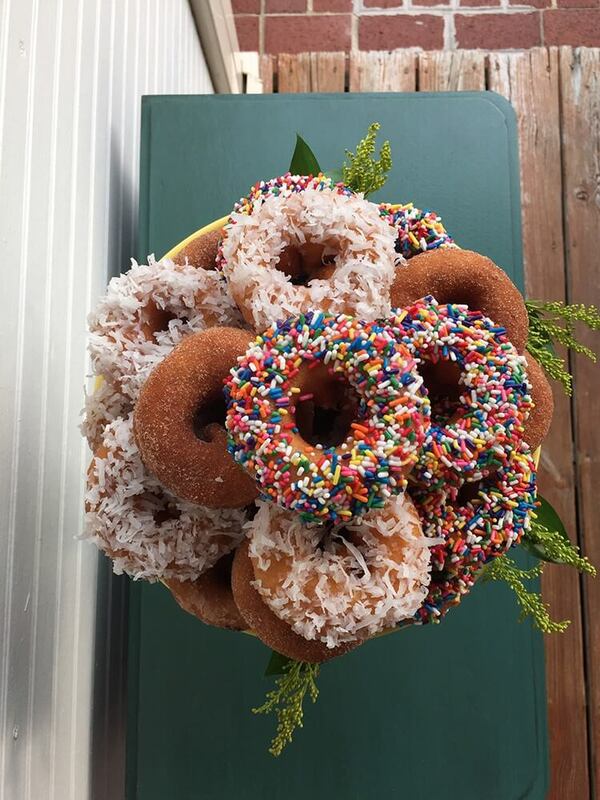 Here’s all the information on wedding catering, and saying “I do” with donuts. Today’s modern couples often create their special day around a central theme. Whatever your motif, we have the donuts for you. Don’t see it on the menu? We can create a custom flavor just for you. Having a Rustic Fall Wedding? How about pumpkin spice or apple cider donuts? Choosing an elegant, traditional Southern Wedding? Delight your guests with red velvet donuts. Want to express your ever quirky nature? Surprise everyone with cereal themed donuts from your childhood, like Count Chocula, Fruity Pebbles, or Coco Puffs. When you order donuts for your wedding celebration, we make sure to make them only hours before the event begins. That way, we can provide the freshest treats possible. 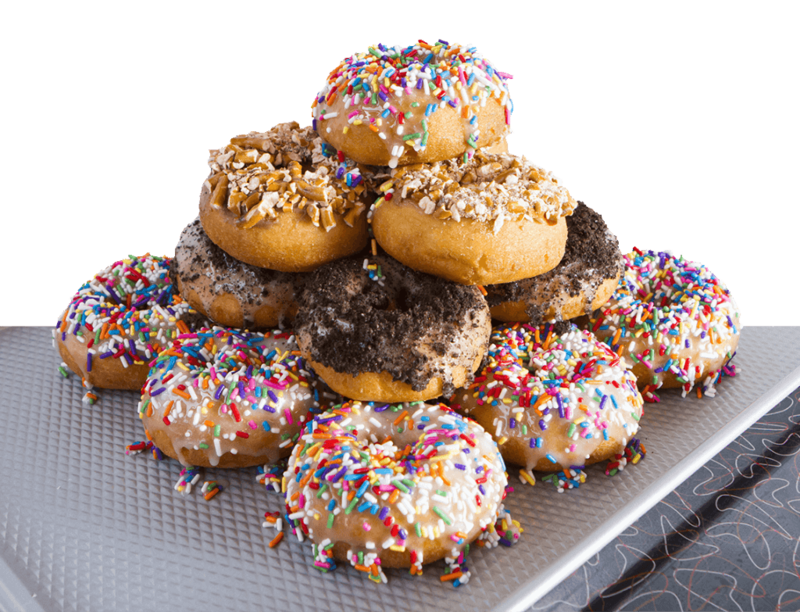 We carefully coordinate with your wedding planner where to locate the donut station and how to set up your donuts. Once again, depending on your theme and location, we can fulfill virtually any request. As always, our primary goal is to delight and surprise both you and your guests! Sandy Pony has served our wedding donuts all over the Chesapeake region. We love being a part of your special day. With so many beautiful locations, as a couple, you have many venues from which to choose. From rural farms and barns to breath-taking waterfront sites and elegant hotels. Below are some of the places we have created original wedding donut displays. Looking for a sweet way to make a special memory for both you and your guests? Contact Sandy Pony today about our wedding donuts. It would be our honor to be a part of your momentous occasion/ Allow us to create delicious treats that everyone will be talking about for years to come!